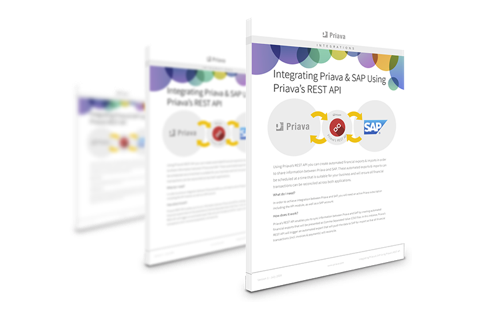 Priava’s REST API enables you to create automated financial exports & imports in order to share information between Priava and SAP. These can be scheduled at a time that is suitable for your business and will ensure all financial transactions can be reconciled across both applications. Download our eBrochure to find out more about how Priava works with SAP to achieve effective integrations and what you need to do to get started.